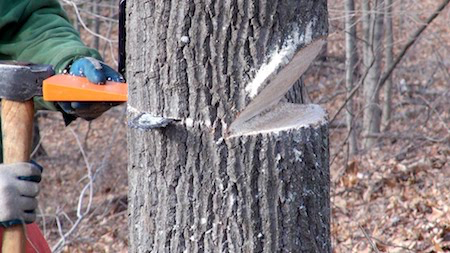 Falling a tree, or cutting it down, is usually a job that should be done by a professional tree service company. However, if you have a smaller tree that you would like to remove, then it may be possible to do the job yourself. Even if it is a smaller tree, safety is still of paramount importance. And, even if it small, proper technique and equipment are still required. Below are essential tips and guidance for cutting down a small tree. 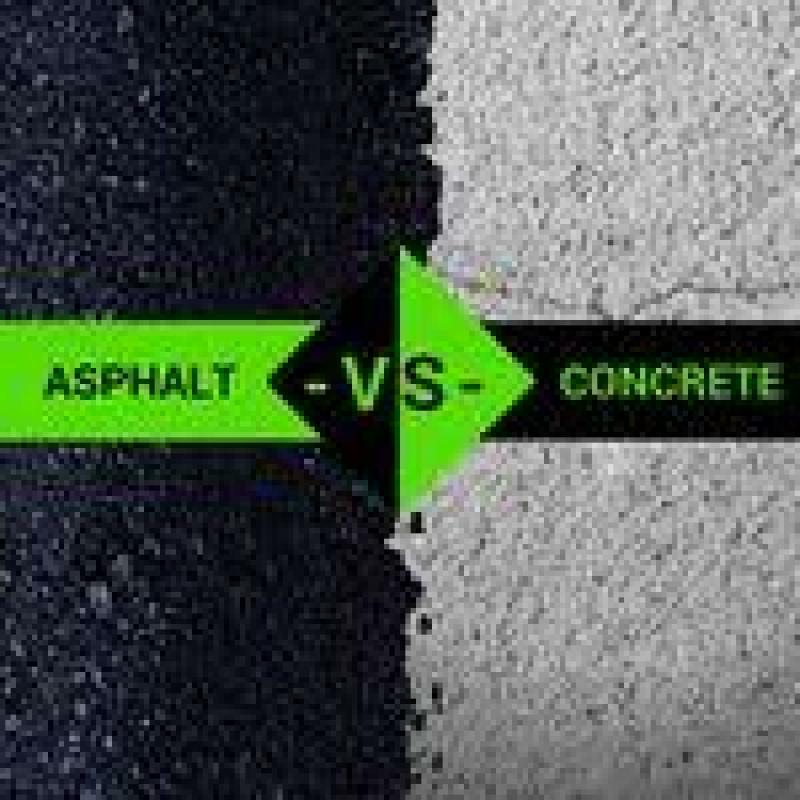 Protective Gear - hardhat, heavy gloves, eye protection, steel toe boots, and heavy leg coverings, such as Kevlar. Chainsaw - the saw should be in good working condition with a sharp chain. Also, have the necessary quantities of gas and chain oil to complete the job. You don't want to stop have way through the job in order to get more gas or oil. 2. Is there a safe, clear area where the tree can fall without being a danger to life and property? 3. Does the tree lean in one direction, and is that direction safe for the tree to fall in? In performing a DIY tree removal, it is very difficult, if not impossible, to have a tree fall in a direction other than where it is leaning. 4. Is there at least one, preferably two, escape routes where you can run to as the tree is falling? Thinking about this in advance of the tree falling is prudent. Knock it Out - knock against the tree trunk with a hammer or ax. It may sound hollow if it is dead or dying. If it doesn't sound hollow then you know you are dealing with a fully live tree and one that will be more difficult to cut through. If you knock on different points along the truck you may be lucky and find a hollow spot where the cutting will be easier. Determine Where it Will Fall - As stated above, a leaning tree will almost always fall in the direction of the lean. Ideally, the landing spot would be flat so that the tree will not roll or bounce once fallen. Make the First Cut - Make a horizontal cut that should not be higher than your waist. And, this first cut should not extend beyond one-third the way through the tree. 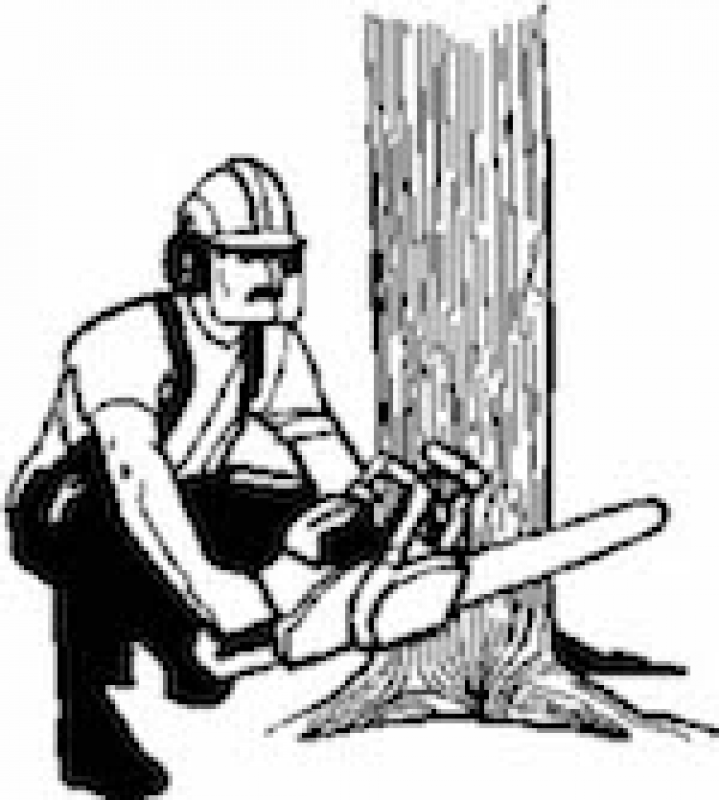 Remember, the tree will fall in a perpendicular direction to this initial cut. Make the Second Cut - Make a wedge cut down into your first horizontal cut. Picture an orange slice when envisioning what these two cuts form. It doesn't matter if you make this wedge cut from above or below the horizontal cut. Make the Third Cut - Make a back cut from the other side of the tree from the wedge cut. Ideally, this back cut should be approximately two inches above the first, horizontal cut. To better estimate this you can mark the tree prior to making this third cut. As you make this cut, insert a wedge, which will prevent the tree from binding the chainsaw. Get Ready - After, or even as, the back cut is completed, the tree will either hold or begin to fall. If it doesn't fall upon completing the back cut, then keep inserting wedges until the tree begins to fall. Run - As the tree beings to fall, use one of your pre-planned escape routes to ensure you are safely away from the tree. Keep an eye on the tree as it is falling so you can make any adjustments to your escape route. For all but the smallest of trees, it is best to use a professional tree service company to remove a tree. Before calling companies for an estimate, you should consider the cost of removing a tree. Large, mature trees require skill, experience, and equipment to remove safely and efficiently. And none of this comes without a cost. There are a number of variables in tree removal pricing, such as size, proximity to property structures, and species of tree, but expect to pay $500 to over $1,500.